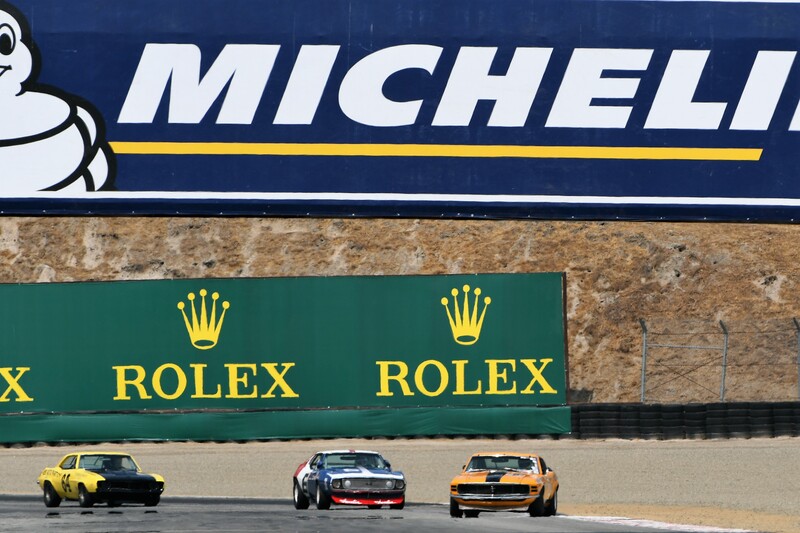 The Saturday is all about racing! 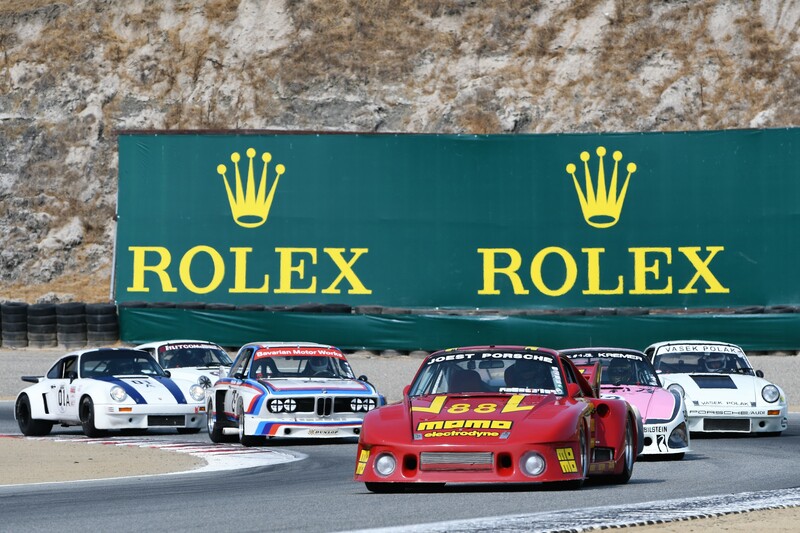 Indeed, spending the final Saturday at the racetrack is one of the most established traditions of Monterey Week. 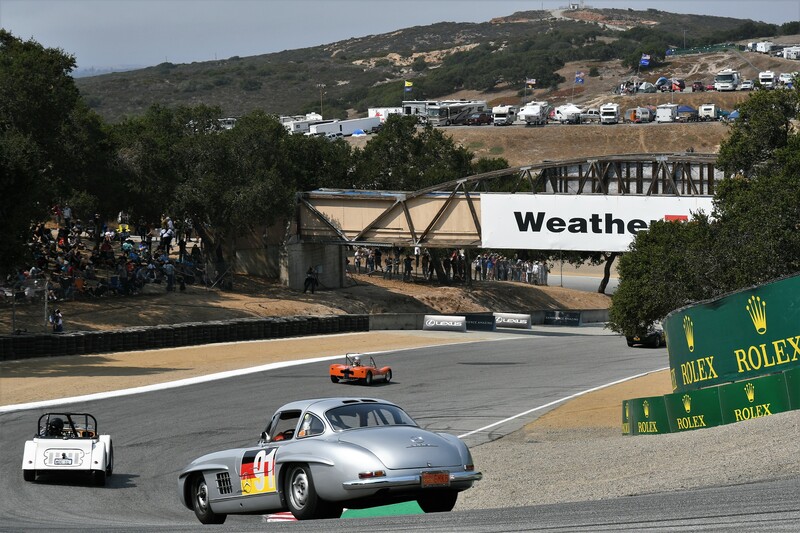 Race events at the Laguna Seca circuit always get under way the weekend before, and continue throughout the whole week, but the best races are undoubtedly the ones reserved for the Saturday program. 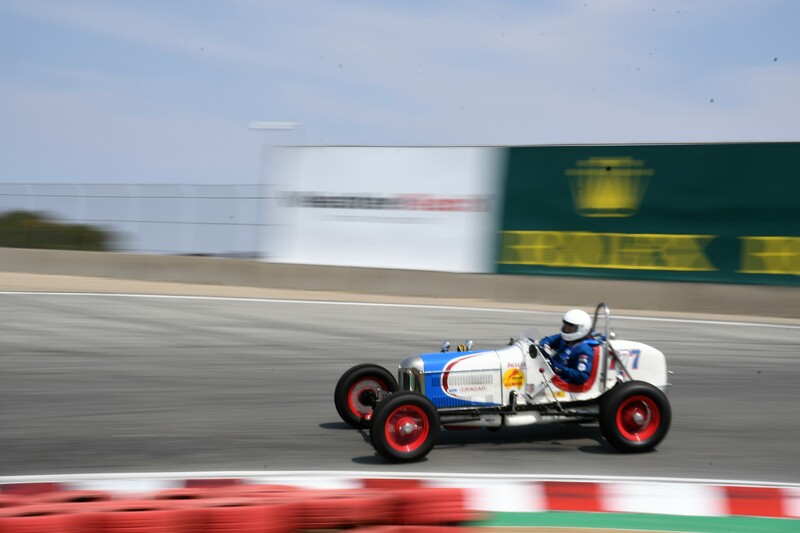 This is a day when enthusiasts can take a seat and watch the evolution of racing cars unfold before their eyes: the day begins in the early morning, with the cars of the early 1900s, and ends in the late afternoon with the 1980s Formula 1s. 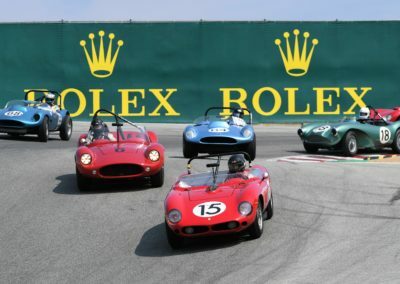 For each racing period represented, there is some form of live activity on the track, be it qualifying or racing. 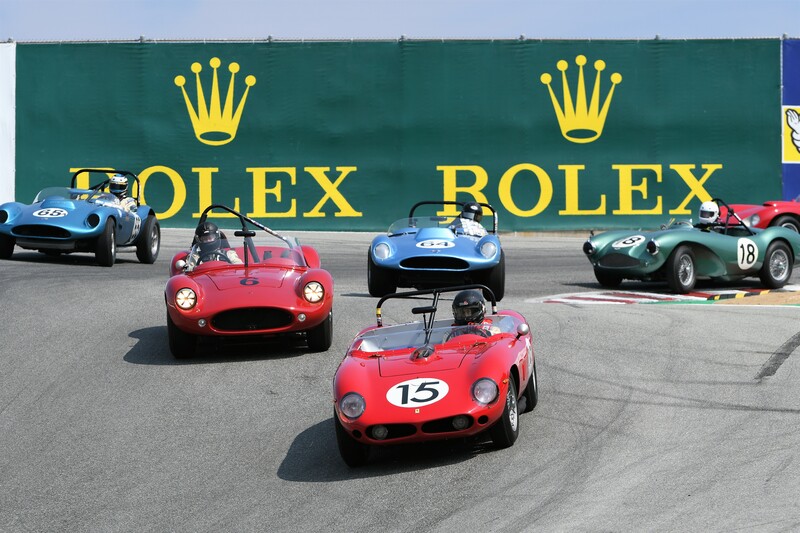 As its focus, the Saturday at Seca always revolves around a particular celebration (or two! 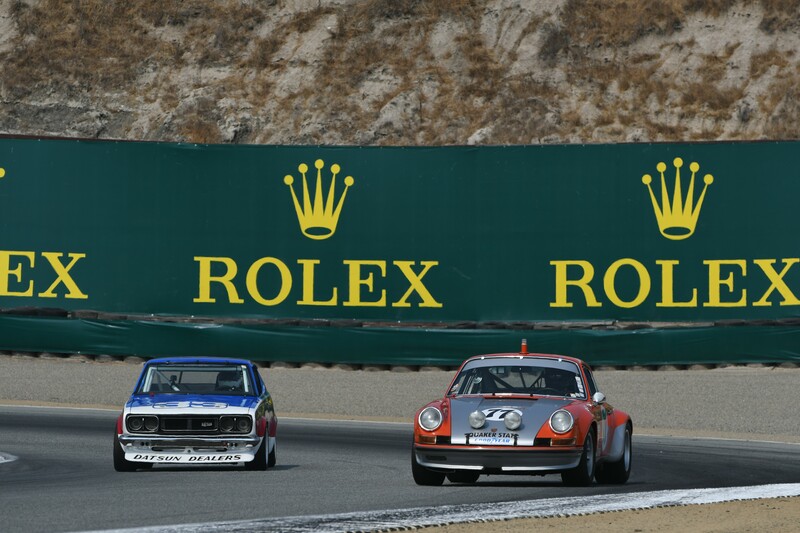 ), and this year there can be no doubt that the highlight was the celebration of Datsun. This shouldn’t be too surprising. 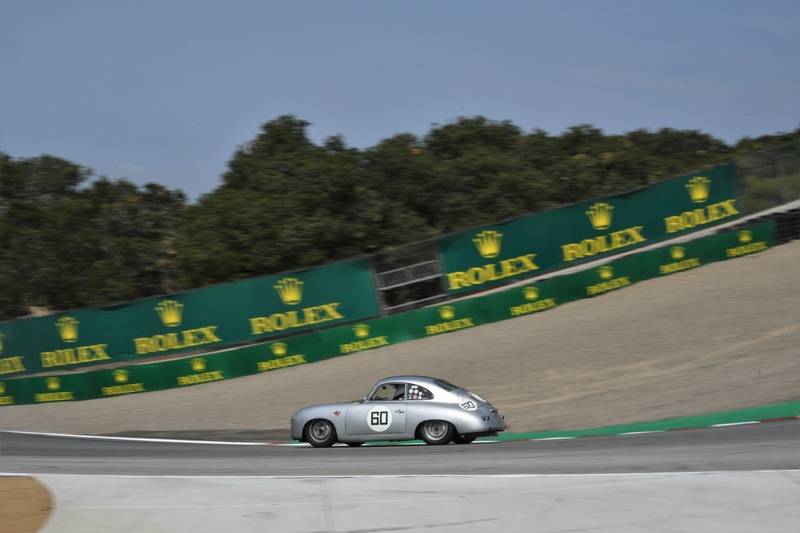 After all, Porsche’s 70th anniversary was marked through a separate, dedicated event (which we covered in a special post a few days ago). 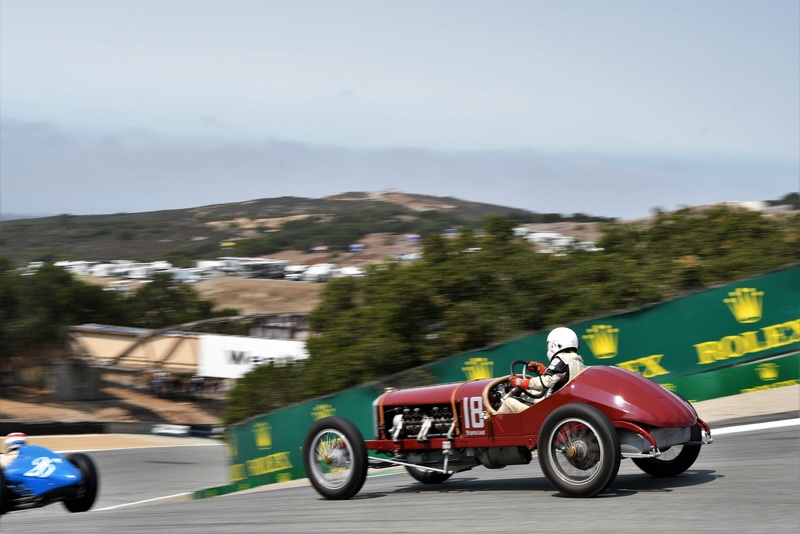 This year, the races at Laguna were, as always, rather special, even though, by the end of the day, many felt the lack of some truly “hot action”. 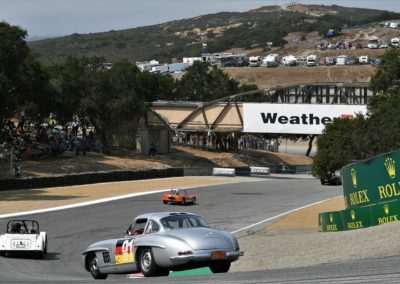 Laguna Seca is not an easy track to race on: there are some blind corners and very fast stretches; furthermore, on some parts of the circuit, with hard barriers on either side, there is absolutely no room for error. 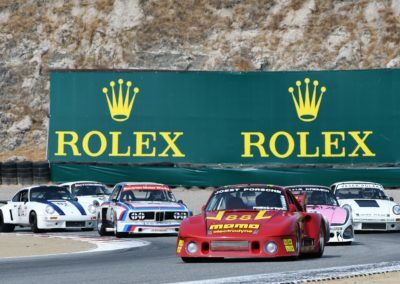 The organizers of the Historics at Laguna Seca are always very careful to ensure that the entrants know that racing at 10/10 is not acceptable during these races. 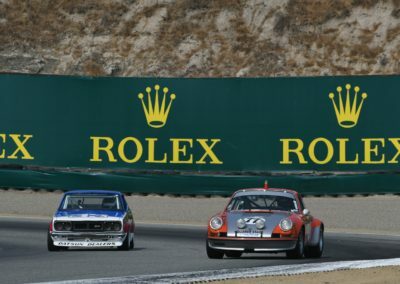 The Historics are meant to give “normal” drivers an opportunity to enjoy the track; what is more, they can see some highly valuable, original, perfectly restored cars, sometimes worth millions of dollars, lining up together on the tarmac. 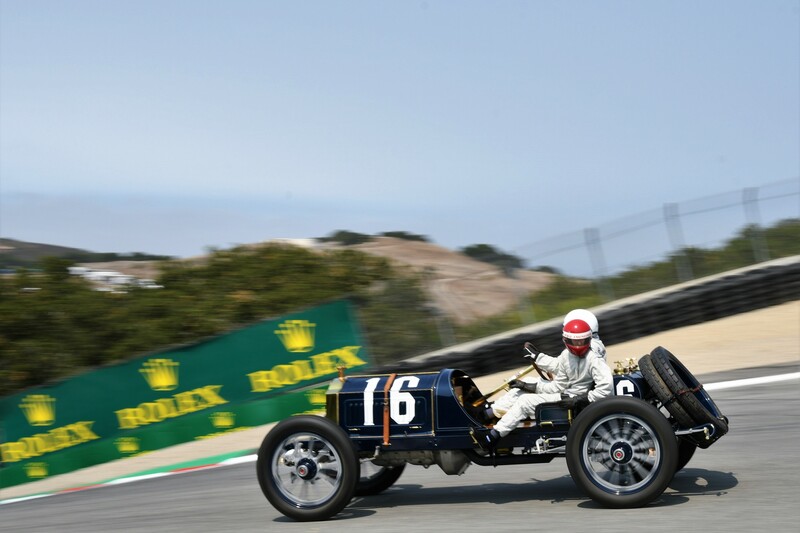 To avoid contact between the cars, and to reduce, as far as possible, the risk of accidents, the rules are extremely strict, and any transgressors risk paying a very heavy price. 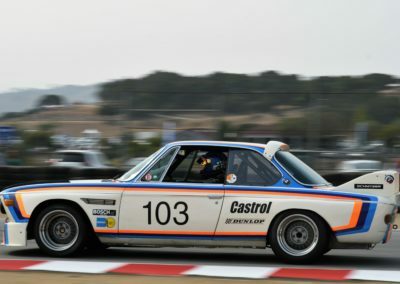 For example, a driver involved in a crash might well see his racing license suspended for as long as 13 months. 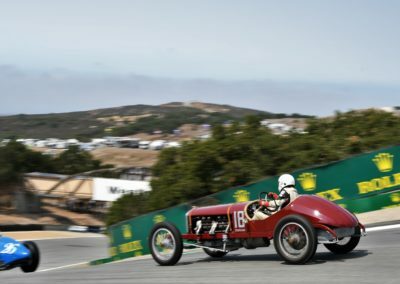 While all this is entirely understandable, for onlookers used to watching racing “fights” at Goodwood, where such original cars are not the norm and drivers are ready to give 11/10, Laguna Seca is perhaps a little short on excitement. 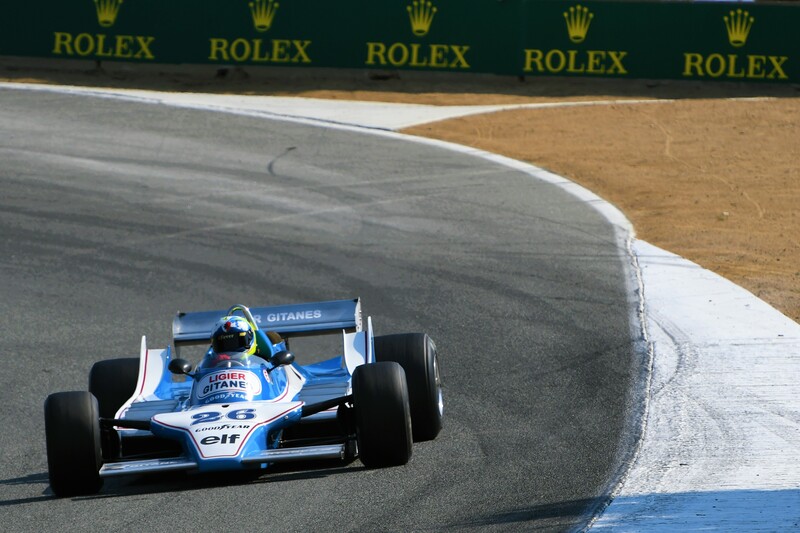 During an entire afternoon spent at the corkscrew, I personally saw only one hard braking, complete with smoking tires, and fewer than five overtakings. 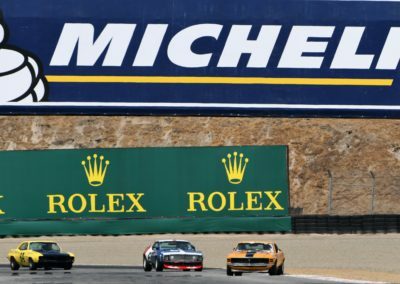 Only one race proved to be an exception to the Historics approach, namely the Trans-Am, which saw some fierce competition among the fastest drivers and gave us some great action. 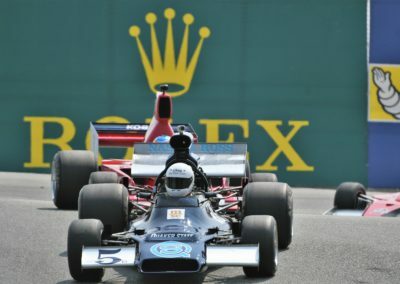 One of the loudest, and largest, classes on the field was the 1966–1974 Can-Am class, which saw 23 cars lining up at the start, including some very beautiful and unique models. 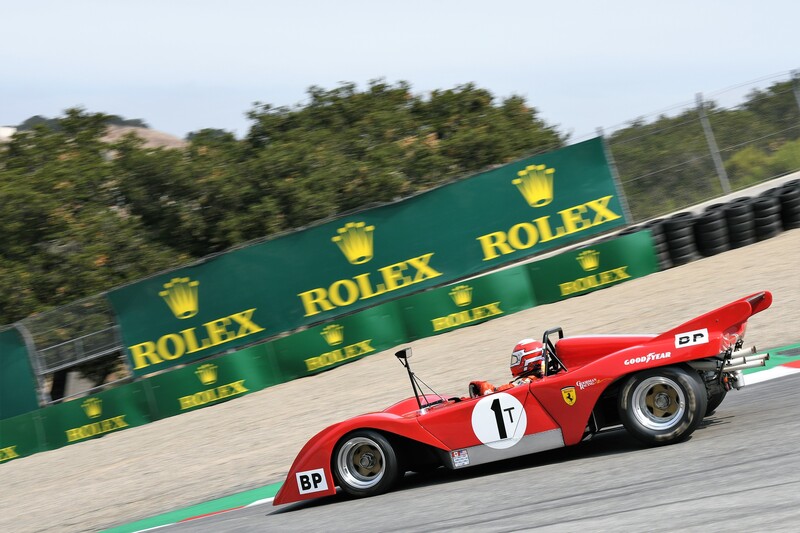 Among these, the 1972 Ferrari 312 PB, belonging to American Gregory Galdi, was a particular favorite. 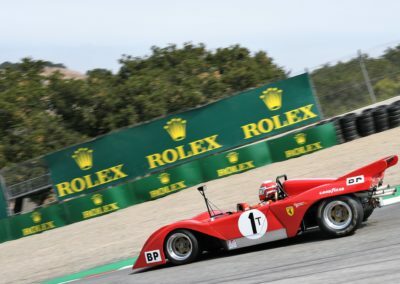 The car (chassis #0872) is referred to as a 1969/1972 Ferrari NART 312 P Spyder (it was the third and last of these models to be manufactured). 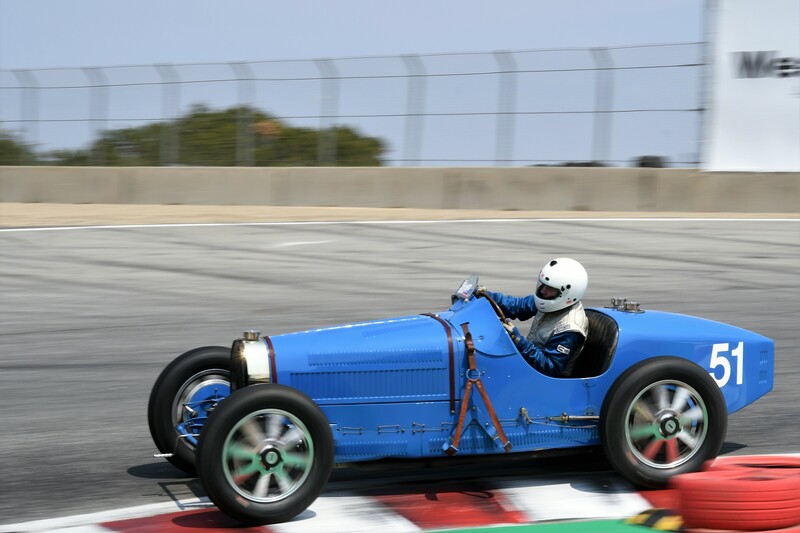 It is the same car that was later transformed into the Chinetti Special “Flying Shingle” by Luigi Chinetti Jr (or “Coco” to those in the classic car world) to race in Daytona, Sebring and Le Mans. It is a well-known car that had a hard racing life. 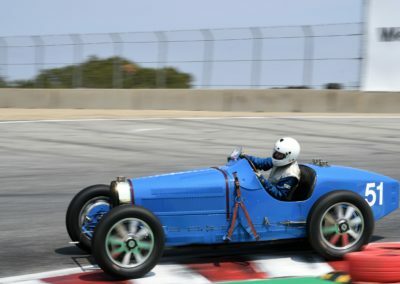 It was dismantled and rebuilt several times in period, and has had many different components, both new and from other cars, installed in it over the years. Today, however, it is largely original. 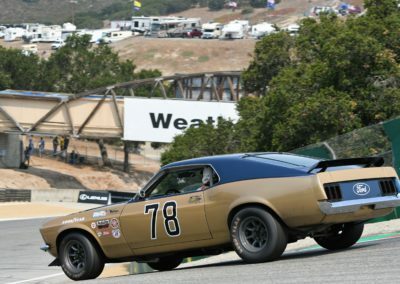 It was manufactured in 1969, and immediately given a new chassis number (#0868). This is because the “original” chassis #0868, a works car due to race at Le Mans, was destroyed during a race in Monza just beforehand. 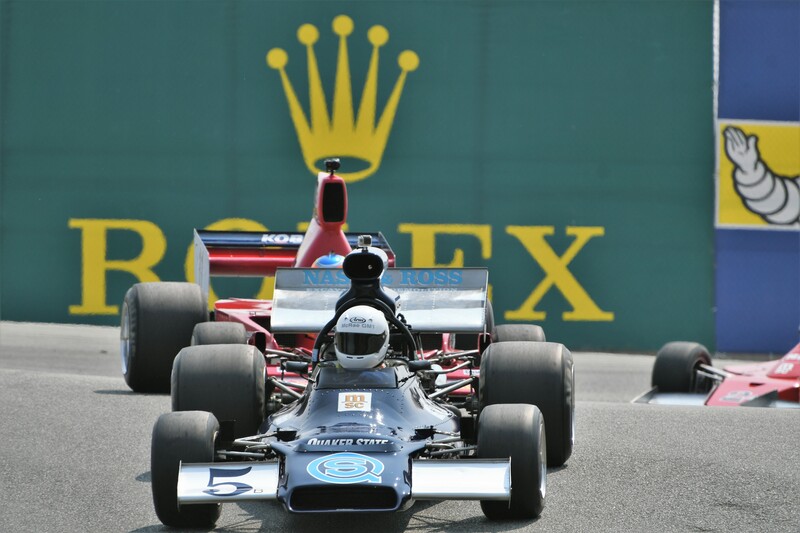 The rules of the French classic do not allow you to change “the car” entered, and thus the powers-that-be at Maranello decided to resolve the problem simply by re-stamping the chassis of another car. 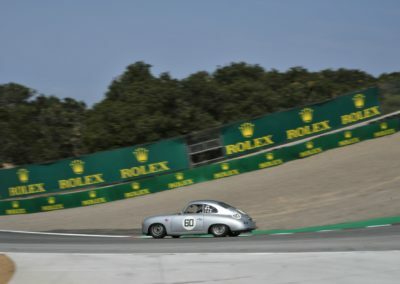 During the 24 Hours race in question, which was the last to be started in the traditional style, with the drivers crossing the track to get in their cars, the car, driven by Chris Amon and Peter Schetty, collided during the first lap with the flaming gas tank of a crashed Porsche 917, whose driver, John Wolfe, subsequently died as a result of this accident. 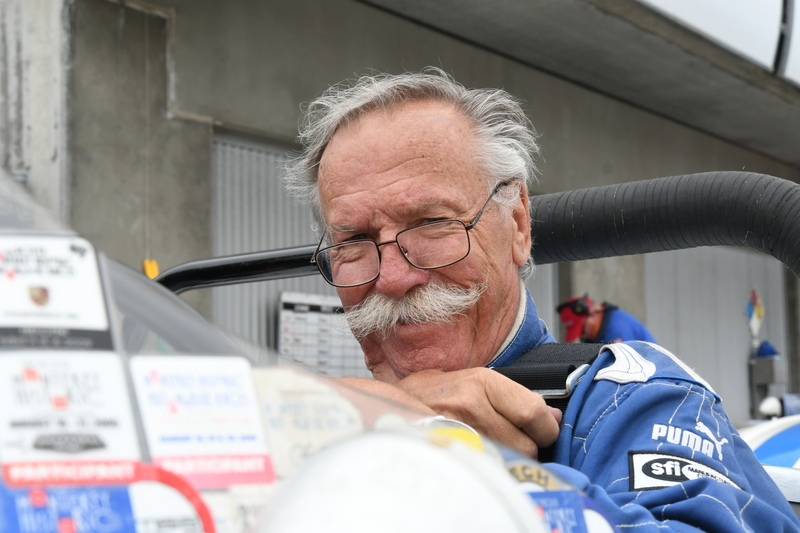 This anecdote is a stark reminder of just how tough racing was back then, as indeed were the drivers. 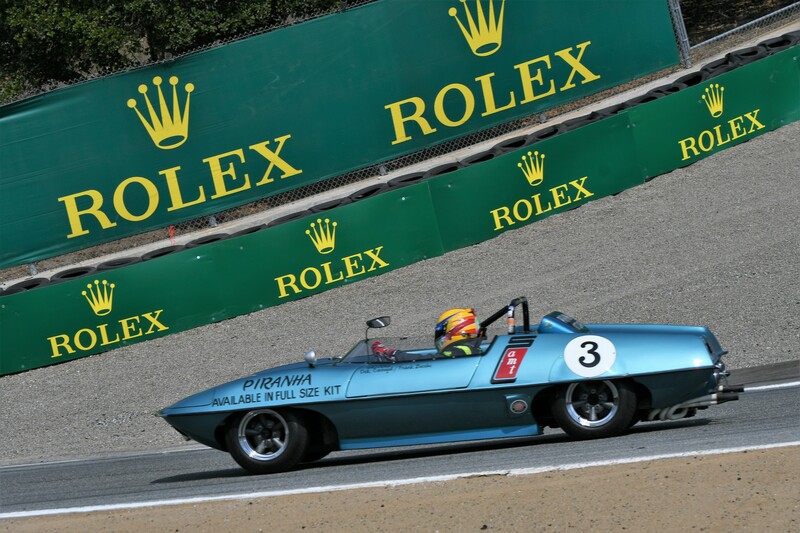 Sold to Chinetti’s NART racing team, in Connecticut, in September 1969, and modified with a bubble roof in order to accommodate the tall frame of Mike Parkes, it was raced at the 24 Hours of Daytona (where it finished 4th overall), at the 12 Hours of Sebring, and at the 24 Hours of Le Mans (where it failed to qualify). 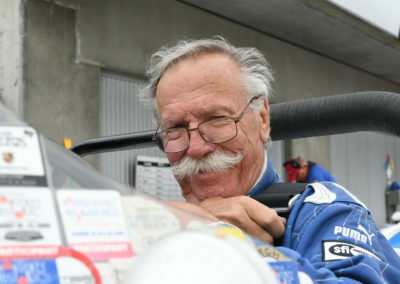 During the second half of the 1970 season, and throughout 1971, the car was heavily modified by Chinetti, being transformed into a Spyder by Wayne Sparling to be entered in the Daytona 24 Hours race and in Sebring. This transformation entailed removing the roof and replacing the rear and front of the car. 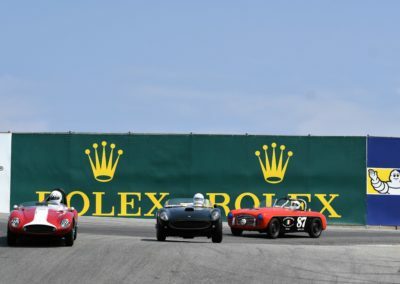 In spring 1971, the car was dismantled; the chassis and body were put in storage, while the engine, gearbox, steering and suspensions were used for a “Chinetti Special” with a new Spyder body. 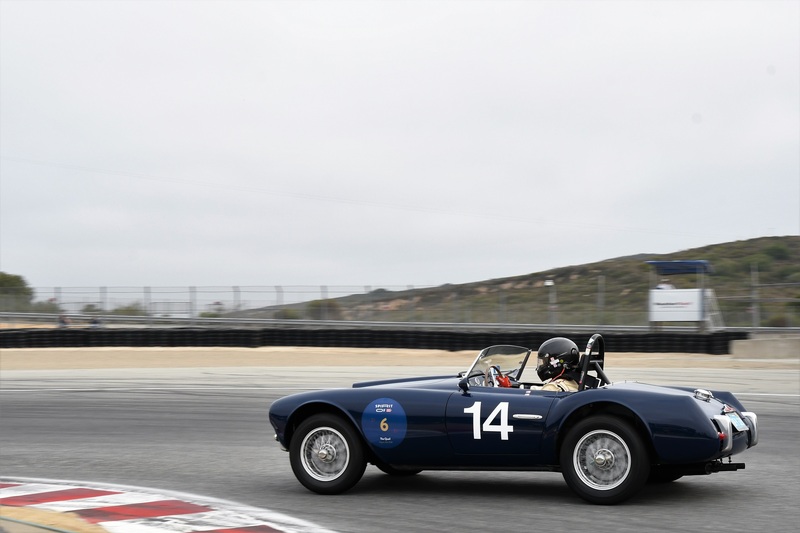 In the early 1980s, an American collector started the process of tracking down, as far as possible, the original parts still available, which had mostly been used in other cars, and put the car back together to a level that earned it Ferrari Classiche Certification. 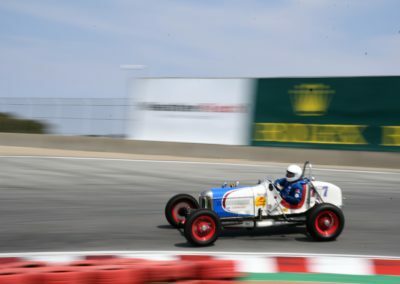 The 1955–1961 Sports Racing under 2 liters class saw a Piranha on the track: chassis #1 owned by American Frank Zucchi. The AMT Piranha was built by a company manufacturing scale car models and it was available both in 1:24 scale (purely as a model), or as a running car built in 1:1 scale. 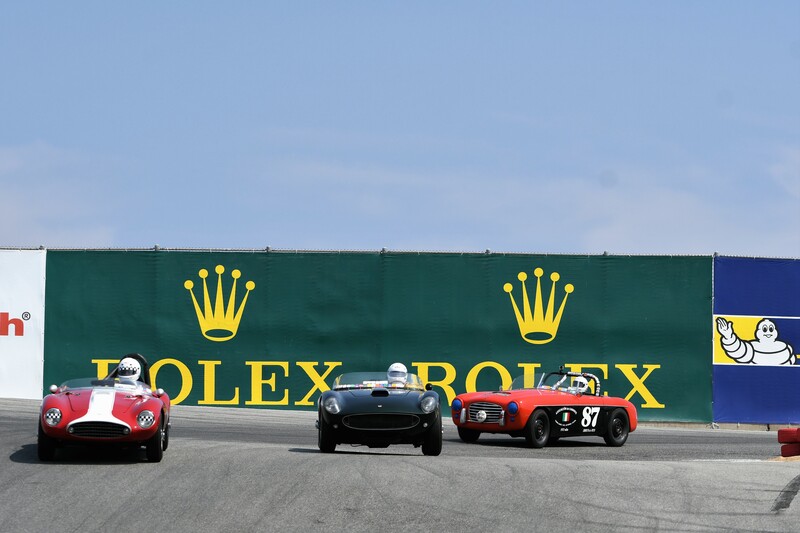 Originally created to promote the use of the Cycolac ABS plastic, these cars were built as prototypes on a tubular chassis. 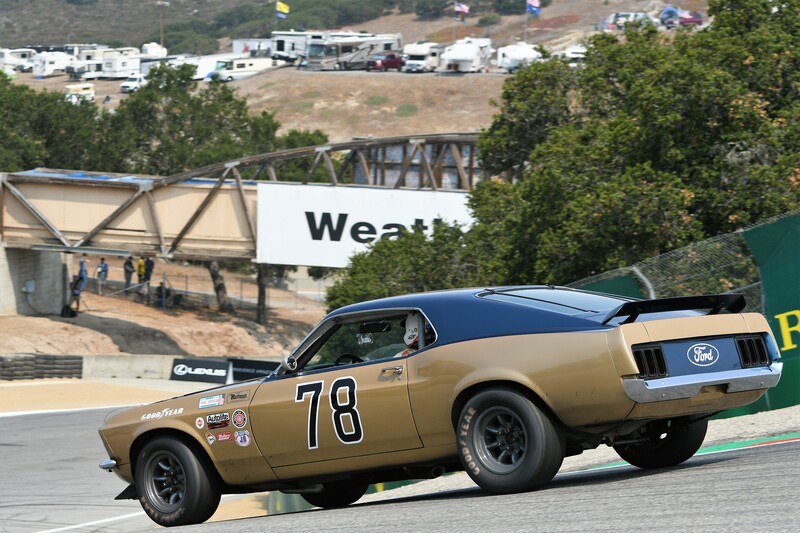 This is the first one manufactured, on a platform-type chassis, and it competed in several SCCA races in the 1967–1968 season. It is equipped with a rear-mounted Corvair 2-liter engine.